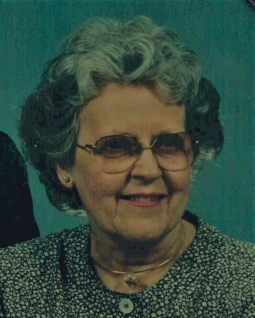 Gloria J. Holub, age 88, of Chattanooga passed into Heaven on August 16, 2018. She worked as a secretary for McDonalds and Krystal Corporations as well as St. Peter’s Episcopal Church. Gloria was preceded in death by her husband, Edward Holub; sisters’ Dorothy, Betty and Jaqueline; and brother, Arthur. Those left to cherish her memory include her son, Edward; daughter-in-law, Connie; grandchildren, Jacob and Abigail. Visitation will be 3:30pm – 4pm Wednesday, August 22 with Memorial Service to follow at St Peter’s Episcopal Church. In lieu of flowers, contributions can be made to St Peter's Episcopal Church and School, 848 Ashland Terrace, Chattanooga, TN 37415.